Donald Lawrence Keene (born June 6, 1922 in New York City) is a noted Japanologist, scholar, teacher, writer, translator and interpreter of Japanese literature and culture. Keene is currently University Professor Emeritus and Shincho Professor Emeritus of Japanese Literature at Columbia University, where he has taught for over fifty years. Keene has published about 25 books in English on Japanese topics, including both studies of Japanese literature and culture and translations of Japanese classical and modern literature, including a four-volume history of Japanese literature. Keene has also published about 30 books in Japanese (some translated from English). Keene is the president of the Donald Keene Foundation for Japanese Culture. Perhaps no one is more qualified to write about Japanese culture than Donald Keene, considered the leading interpreter of that nation's literature to the Western world. The author, editor, or translator of nearly three dozen books of criticism and works of literature, Keene now offers an enjoyable and beautifully written introduction to traditional Japanese culture for the general reader. The book acquaints the reader with Japanese aesthetics, poetry, fiction, and theater, and offers Keene's appreciations of these topics. Based on lectures given at the New York Public Library, The Metropolitan Museum of Art, and the University of California, Los Angeles, the essays - though written by a renowned scholar- presuppose no knowledge of Japanese culture. Keene's deep learning, in fact, enables him to construct an overview as delightful to read as it is informative. His insights often illuminate aspects of traditional Japanese culture that endure today. 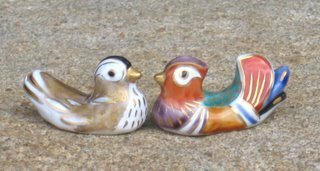 One of these is the appreciation of "perishability." this appreciation os seen in countless little bits of Japanese life: in temples made of wood instead of durable materials; in the preference for objects -such as pottery- that are worn, broken, or used rather than new; and in the national love of the delicate cherry blossom, which normally falls after a brief three days of flowering. Keene quotes the fourteenth-century Buddhist monk Kenko, who wrote that "the most precious thing about life is its uncertainty." Throughout the volume, Keene demonstrates that the rich artistic and social traditions of Japan can indeed be understood by readers from our culture. 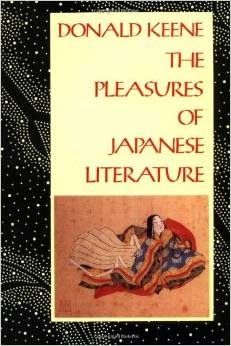 This book will enlighten anyone interested in Japanese literature and culture. Wednesday evening, January 30, 2008 I attended a presentation at the Japan Society in New York City, given by Donald Keene, University Professor Emeritus and Shincho Professor Emeritus at Columbia University. Among his accomplishments are the publishing of approximately 25 books in English, including a four-volume history of Japanese literature; and approximately 30 books in Japanese, some original and some translated from English. "Professor Keene's 'Meiji Tenno' (Shinchosha, 2001; translated by Yukio Kakuchi) a biography of the Meiji Emperor, recently won the 56th Mainichi Shuppan Culture Prize." "In the autumn of 2002, Professor Keene was awarded one of Japan's highest honors, the title 'Person of Cultural Merit' (Bunka Koro-sha), for his distinguished service in the promotion of Japanese literature and culture. Keene is only the third non-Japanese to be designated this honor. He is also the recipient of the Kikuchi Kan Prize of the Soceity for the Advancement of Japanese Culture (1962); the Order of the Rising Sun, Second Class (1993) and Third Class (1975); the Japan Foundation Prize (1983); the Yomiuri Shimbun Prize (1985); the Shincho Grand Literary Prize (1985); the Tokyo Metropolitan Prize (1998); the Radio and Television Culture Prize (1993); and the Asahi Prize (1998)." Professor Keene began his talk by stating that he is 85 years old. [He maintains a head of dark, thinning hair with gray around the edges.] He related several anecdotes from his life to illustrate his contention that the path his life has taken has been more of an accident, at least near the beginning, than a purposeful plan. 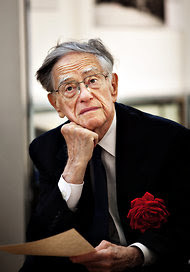 In 1939, as a freshman at Columbia University, he sat next to a fellow student who was Chinese in a class taught by Mark Van Doren [Pulitzer Prize-winning poet and critic]. After a while of sitting next to each other four days a week, they became friends. Eventually Professor Keened asked his friend if the friend would teach him Chinese. So they ate a $0.25 lunch every day at an Asian restaurant on Broadway near the university; a restuarant that finally closed only about ten years ago. The Chinese friend began teaching him Chinese characters out of a contemporary Chinese novel, which Prof. Keene said later gave him a headstart in learning Japanese. However, the friend didn't teach him Chinese pronunciation. Prof. Keene said this was because his friend didn't speak Mandarin, but rather Cantonese, and was embarrassed about that. Prof. Keene said that 1940, his sophomore year, was the worst year of his life, mostly because of the war news from Europe. But it also was the year that began to shape his interest in Japan. He found, in a bookstore in the Astor Hotel in Times Square, the remaindered two-volume Tale of Genji translated by Arthur Waley, and bought it for $0.49. In 1941 he took a class called "Readings in Japanese Thought," taught by Professor Tsunota Yusaku. Prof. Keene was the only student in the class. He asked Prof. Tsunota if he was going to cancel the class, but Prof. Tsunota said, "One is enough." But the class abruptly ended shortly after December 7 of that year. Professor Tsunota was accused of being a spy because, according to Prof. Keene, he was known to take long walks without a dog. Therefore he was thought to be a spy. He was interred in an internment camp for the duration of the war. 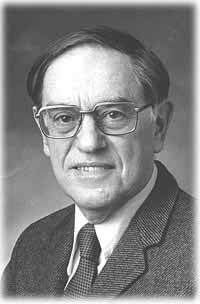 Prof. Keene then volunteered for the Navy Japanese language school, and after 11 months of immersion in the Japanese language, he was stationed in Hawaii, where he translated documents and served as a translator in the interrogation of Japanese prisoners, among other things. and Persian. When he got there, the teachers of Arabic and Persian asked him how long he was planning on staying. When he said a year, they said, goodbye. He ended up staying for five years anyway, teaching Japanese. The text that was being used to teach beginning Japanese at that time was the preface to the Kokinshu, because it was written in mostly simple characters and had easy grammar. 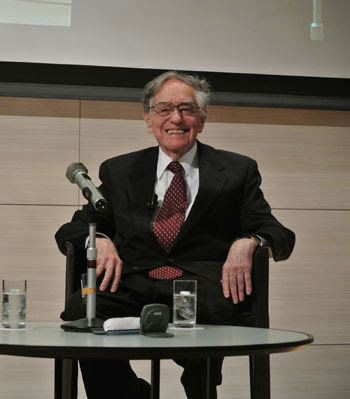 Prof. Keene then went on to discuss his lifelong interest in Japanese literature and culture. He said that as a scholar, he doesn't "plunge deeply" into one particular area, but "goes from flower to flower." He feels that this character trait of his has served him well, although he acknowledges it does open him to the charge of being superficial. Prof. Keene said that one change from his first visit to Japan in the late 1950s to now, is that there seems to be a break with tradition among the young Japanese people. On his first visit, he said that Japanese literature was being extensively taught at the university level; today, there is hardly any teaching of it. He said that Japanese young people today have more in common with young people around the world than with their own cultural heritage. In order to feel an active part of Japanese culture, he first thought to study a Japanese musical instrument, but his lack of musical aptitude quickly dissuaded him from doing that. So on what sounds like a whim, he studied Kyoogen acting, which is farcical in nature. It tried his patience, since his teacher would make him repeat a single phrase over and over until the teacher was satisfied with how he said it, and the teacher would tell him, when he was supposed to pick something up, he was only to use TWO fingers, etc. But Prof. Keene said he enjoyed the experience. In answer to a question, Prof. Keene said that the translation of his that he is most satisfied with is his translation of Kenko's Essays in Idleness. Unlike other translations, where he feels that he could have made improvments, he feels he achieved "the right voice" with Essays in Idleness. He translated it while living in Japan during the rainy season, and he said that as a result, there wasn't much else to do. In answer to another question, he said he feels that literal translations, have, on the whole, failed. He says that he most enjoys reading translations in English that sound beautiful in English, and stand as independent works in English. He went on to say that even though Arthur Waley, in his translation of The Tale of Genji, left things out and even added things in that aren't in the original, he finds it to be a beautifully written work in English, and hopes it doesn't disappear as a work of English literature. One questioner who is Japanese (speaking English with an accent) said that she is disturbed by how poorly students in Japan speak and write Japanese these days. She mentioned she was involved in translating tanka and haiku written by Japanese prisoners of war during WWII, and although many of them were common foot soldiers, with farming backgrounds, etc., and often had no more than a fourth or sixth grade education, they nevertheless wrote beautiful tanka and haiku. She said the Japanese they wrote back then, with limited education, was better than many, more educated, students write today. Prof. Keene replied that he understood her point, but he said you can't stop a language from changing, and that there will probably end up being a compromise between traditional Japanese language and the Japanese currently being used by young Japanese people, resulting in a new version of Japanese. He implied this prospect didn't trouble him. At one point, in answering a question about the Japanese author Kobo Abe, Prof. Keene said that although Abe's reputation is in decline at the moment, he expects that it will rise again. Prof. Keene said he developed a genuine friendship with Kobo Abe, and he thinks Abe was an extraordinary human being. Prof. Keene's current project is a book about the changes in Japanese society that took place during WWII and afterward. He is consulting diaries, some written by people he met and knew after the war. Thus ended an enjoyable talk. "I sometimes think that if, as the result of an accident, I were to lose my knowledge of Japanese, there would not be much left for me. Japanese, which at first had no connection with my ancestors, my literary tastes, or my awareness of myself as a person, has become the central element of my life." "While a translation can always be disputed, it is the illustrations that make this book worth the having." Then came the great earthquake on March 2011.
. Mr. Keene's noble decision . Keene told reporters in Sendai, Miyagi Prefecture, on Wednesday that he shuddered when watching the March 11th tsunami on TV. He said that during his stay in the region, he wants to see what escaped destruction and how survivors are living rather than what the tsunami has swept away.
. A Miracle will happen . 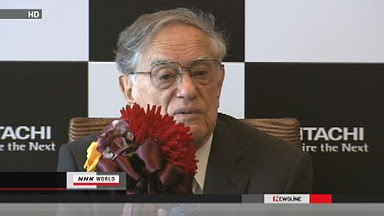 Prominent Japanese literature scholar Donald Keene has been granted Japanese nationality. The 89-year-old professor emeritus of New York's Columbia University was welcomed by applauding officials on Thursday at an office of Tokyo's Kita Ward, where he lives. Keene decided to reside in Japan permanently after the March 11th disaster. He said at a news conference that he was very excited when he was told the news by Japanese authorities earlier in the day. He said he wants to take part in activities in Japan not as a foreign guest but as a citizen, and that his writing may have a different tone from now on. Keene also showed the Japanese version of his name, written using characters also used for the Kinugawa River in Tochigi Prefecture and the Naruto Strait in the Seto Inland Sea. Japanese characters used for his name evokes the images of Japan's natural beauty. Donald Keene, one of the world's most renowned scholars of Japanese literature, said during an event held in Tokyo on March 20 that he believes that Japan's northeast will recover from the Great East Japan Earthquake and be reborn as a beautiful region. At the opening of the lecture held at Nihonbashi Muromachi Nomura Building in Tokyo, Kaoru Matsushita, MC of the event, introduced Keene to the audience of 250, who had been selected by lottery from some 1,000 applicants. "As you may all know, Professor Keene has recently become a Japanese citizen," Matsushita said. "The Justice Ministry approved the request and Professor Keene obtained Japanese nationality on March 8." To a huge round of applause, Keene, Professor Emeritus of Columbia University, then appeared and gave a lecture titled "Scenery of Tohoku — 'Oku no Hosomichi' ('The Narrow Road to Oku')." During the lecture Keene talked about Tohoku and "Oku no Hosomichi," the famous journal of travel in the region by Matsu Basho (1644-1694), one of Japan's greatest haiku poets. "I am sure that the beauty of Tohoku will be revived. Absolutely," Keene said in fluent Japanese. "But I think it will not be possible for everyone to construct whatever buildings they want. I hope Tohoku residents will consult experts in order to create the most beautiful, the most Japanese and the most Tohoku-like towns in the region." The 90-year-old scholar said he had read "Oku no Hosomichi," which consists of essays and haiku on various scenic sites in Tohoku, for the first time in 1946. Around that time, Keene had begun to study at the graduate school of Columbia University after serving in the U.S. Navy as a translator and interpreter of English and Japanese during World War II. "Since then, I read 'Oku no Hosomichi' a number of times, and used the book as a textbook at university," Keene said. "By reading the book, I learned how difficult Basho's writing was, while at the same time discovering its attraction. Whenever I found difficult sentences, their meanings had depth and the expressions were beautiful." To follow Basho's journey through Tohoku, Keene traveled to the region in 1955 while he was studying by scholarship at Kyoto University. "I wished to go to Japan and make the same journey as Basho. I hoped I could visit the same places Basho had visited. Maybe, I thought, I wanted to make haiku, too." Keene recalled his visit to Sendai, maintaining that he had heard Sendai City had been completely destroyed by U.S. bombings during WWII. However, Keene found the city still standing and was able to visit the sites to which Basho had been, including Hachimangu Shrine and Yakushido (the Hall of the Healing Buddha). "At that time, I was fascinated by the town of Sendai. Several years later, I taught at Tohoku University for half a year, and I enjoyed a lot of Sendai's attractions. The university is located on the top of a hill, and I loved walking the avenue from the university to (Sendai) station. I loved the town, which has a lot of trees." When the massive earthquake and tsunami hit Tohoku on March 11 last year, Keene said he was at his home in New York and was shocked by news of the disaster. To express his grief then, Keene referred to a famous verse by Chinese poet Du Fu (712-770), who had been revered by Basho. The theme of the verse is the defeat of the Tang Dynasty by the Yan Dynasty in China. "After the great earthquake last year, I could no longer believe the meaning of the words in the verse by Du Fu: 'The country lies in ruin after the war, but mountains and rivers remain.' Today we can say the opposite: 'The country remains, but mountains and rivers do not." However, Keene said in a delighted tone that he has heard a lot of details about the reconstruction efforts taking place in Tohoku. As an example, Keene noted the city of Higashi Matsushima, one of the most severely hit towns in Miyagi Prefecture. "The schools in the city were also damaged. But the residents of the town began to rebuild their community, according to my friend, C.W. Nicol, who called me yesterday and talked about the effort," Keene said. He explained that Nicol, a naturalist based in Kurohime, Nagano Prefecture and a Japan Times columnist, had told him that residents in Higashi Matsushima had recently started constructing a wooden school building. "It will be a part of a community where residents can enjoy life among the trees. I believe the region of Matsushima will be reconstructed and be a beautiful place," said Keene. At the ending of the lecture, Keene talked about Chusonji Temple in Iwate Prefecture, which he feels is the most beautiful place in Japan and which fortunately did not suffer any major damage in the disaster. Keene visited the temple in September, and gave a speech complementing the temple to an audience that included people whose homes were damaged in the earthquake and tsunami. After the talk, a member of the audience, an old lady whom Keene had never seen before, stood and approached him, Keene said. "She shook hands with me and I was moved," Keene said. "I felt our handshake symbolized my lifelong bond with Japan. I felt deep gratitude for Japan and I hope Chusonji Temple never changes." After the lecture in Tokyo, Yuki Suzuki, a member of the audience, said he was impressed by Keene's deep understanding of Japanese culture, adding that when he heard news of Keene's intention to change his nationality to Japanese, he was touched. "Right after the earthquake and the nuclear disaster at Fukushima, many foreign residents in Japan left the country," said the 35-year-old care worker for the disabled. "But at that time, Keene decided to live in Japan permanently. I was so moved." Shortly after the 2011 Tōhoku earthquake and tsunami, the prominent scholar in Japanese literary and intellectual circles, Dr. Donald Keene retired from Columbia University and moved to the wounded nation permanently. Later, he gave up his American citizenship and became a citizen of Japan this year. Dr. Keene is one of few scholars awarded by the emperor one of Japan’s highest honors for his contributions to Japanese literature and befriended by Japan’s most celebrated novelists. My first encounter with Dr. Keene is through reading his influential book on Japanese literature, World Within Walls: Japanese Literature of the Pre-Modern Era, 1600-1867, which helped me to write an essay on Yosa Buson and the Basho Revival. but so lively and full of energy and enthusiasm. Full of ideas for new projects. Keene is working on a translation of Takuboku's Rōmaji nikki. They talked about their meetings with famous literati and then about our present time. He was able to bring a white stone offering to the new Ise Shrine this year during the renewal ceremonies in Ise. This is the fourth time he could attend the ceremony in his long life. Every 20 years, new ideas sprout in Japan and then fade away . . .
Matsuo Basho had also been able to attend this ceremony after coming back from his trip to "Oku no Hosomichi". The Olympics should not be held now, since they only take away monen and menpower from Tohoku (both have strong ties to Tohoku). The new laws about secrecy and freedom of the press will bring Japan back to the pre-war conditions . . . and they are both worried.
. Setouchi Jakuchoo　瀬戸内寂聴 Setouchi Jakucho .
. fueki ryuukoo 不易流行 Fueki Ryuko - and Matsuo Basho . 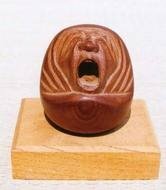 Nihon o shinjiru 日本を、信じる Let us believe in Japan! So few teaching opportunities existed for a young Japan scholar in late 1940s America that a professor suggested he teach Greek instead. Donald Keene persevered, arriving in the ancient Imperial capital of Kyoto in 1953 to do research. Lucky too, he says, because it was a time when few foreigners spoke Japanese, so he easily gained introductions to well-known people. Writer Yukio Mishima was a friend. 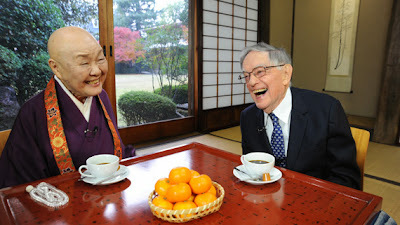 From those beginnings he counts about 25 books in English and 30 in Japanese and more than six decades of teaching. He’s considered a giant in the field he helped build, translation and Japanese literature. His life has become so intertwined with Japan that he has decided to spend his remaining years here, becoming a Japanese citizen in 2012. Though his memory isn’t what it once was, the longtime Columbia University professor remains active. He becomes animated when talking, his eyes gleaming in a way that conveys an earnest interest in the subject. His latest book — about the early 20th-century poet Takuboku Ishikawa — will be published in Japanese in February, and he hopes an English edition will follow later in 2016. His decision to settle in Japan in 2011, at a time when many foreigners were fleeing because of the meltdowns at the Fukushima nuclear plant, made him something of a hero in Japan, where he had already been widely honored by the government and others for his scholarly work. As a university student in 1940, Keene came across a copy of “The Tale of Genji,” an 11th-century Japanese classic, in a New York bookshop. It changed his life. The two-volume translation by Englishman Arthur Waley seemed a bargain at 49 cents, Keene wrote in a 2008 memoir. It has since been translated three more times, but never by Keene. He learned Japanese in U.S. Navy language school and interrogated Japanese prisoners in Okinawa during World War II. Keene sees a declining interest today in traditional Japanese arts. He senses that Japan’s best minds gravitate toward science in a modern, more materialistic world.
. Japanese Literature, Books about Japan . - - - Join the discussion on facebook ! much richness within its compact frame. Although she is ill and infirm, that didn't stop 93-year-old Jakucho Setouchi from rushing from Kyoto to Tokyo at the last minute to join protests against the Abe administration's new national security legislation. 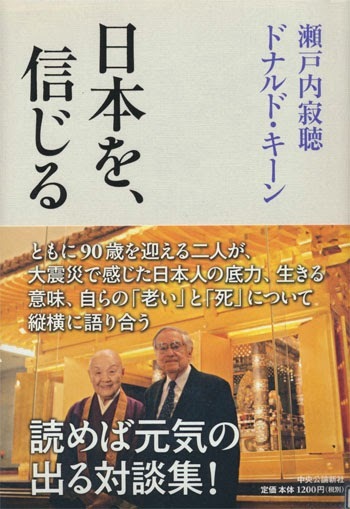 The Buddhist-monk novelist is one of the decreasing number of people left in Japan who lived through World War II. She joined the protests near the Diet building on June 18, rising from her wheelchair to deliver a passionate rebuke to the government's plans and insisting they will lead the country into another war. Setouchi is a member of one of the many civic groups protesting the controversial legislation, which would allow the Japanese Self-Defense Forces to use force overseas to support an ally--a sweeping shift in the nation’s defense policy. Setouchi talked about her own experiences of war during her five-minute speech slamming the new legislation. Protesters at the demonstration responded by applauding her commitment to peace. “People of my generation have shown varying degrees of interest (in the new security legislation). I would like them to take this fight to heart and take action like Jakucho,” said a 32-year-old company employee from Kawasaki. Kan Kamei, a third-year high-school student from Funabashi, Chiba Prefecture, said a speech made by a person who experienced the war resonated with him. “It was really convincing because she is a person who went through a war and made an appeal in a society where most people have no experience of war,” he said. The author came to Tokyo on the spur of the moment, deciding to join the demonstrators just two days before. She was hospitalized in May last year for a compressed spinal fracture. She also underwent surgery for gallbladder cancer in September. 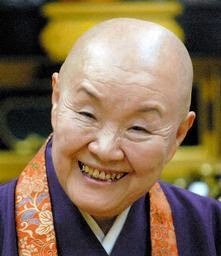 Her commitment to peace is well known due to her being an author and a monk and for having experienced World War II. She lost her grandfather and mother in U.S. air raids on Japan. She went on a hunger strike in protesting the 1991 Gulf War. Later, she traveled to Iraq to offer relief aid such as milk and medicine to war victims. Setouchi also went without food to protest the war in Afghanistan following the 2001 terror attacks on the United States, and also put her name to a petition in a newspaper ad condemning the 2003 Iraq War.